I received compensation from QVC for writing this blog post. All thoughts and opinions are my own. Thank you for supporting companies that support The Styled Press! Happy Friday, guys! I know most of you are huge fans of QVC and Barefoot Dreams like I am, so you’ll be excited to hear that QVC’s Today’s Special Value (TSV) includes the newest Barefoot Dreams piece in my closet – the CozyChic Lite Ribbed Shrug Cardi! I absolutely love shopping at QVC and frequently check their TSV to see what deals are available. Sales and bargain shopping is definitely one of my favorite hobbies, haha! 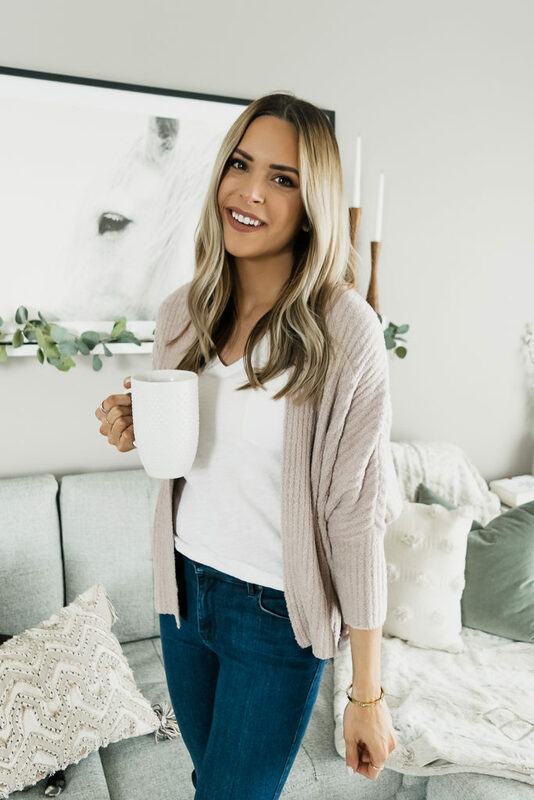 Whenever QVC teams up with Barefoot Dreams on a special promotion, I always share the sale with all of you since Barefoot Dreams rarely gets discounted, and they carry pretty much the coziest pieces on the planet; I tell no lies! 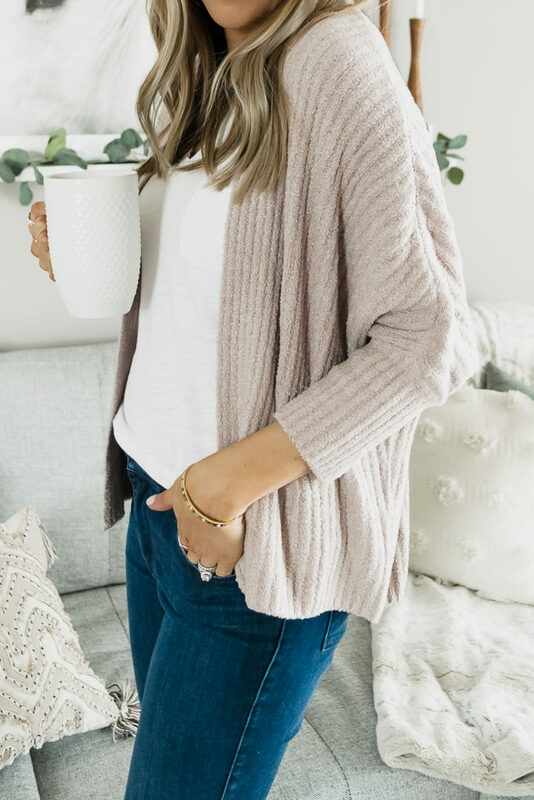 I cannot live without their super soft cardigans and blankets, and their newest launch, the CozyChic Lite Ribbed Shrug Cardi, is no exception. I’m wearing the “faded rose” color in a size small (runs true to size), and it comes in several other beautiful colors as well. I love that this one can be dressed up for the office or down for casual/loungewear. A couple of other Barefoot Dreams cardigans that I own that are also marked down today on QVC are the CozyChic Lite Island Wrap ($36 off!) 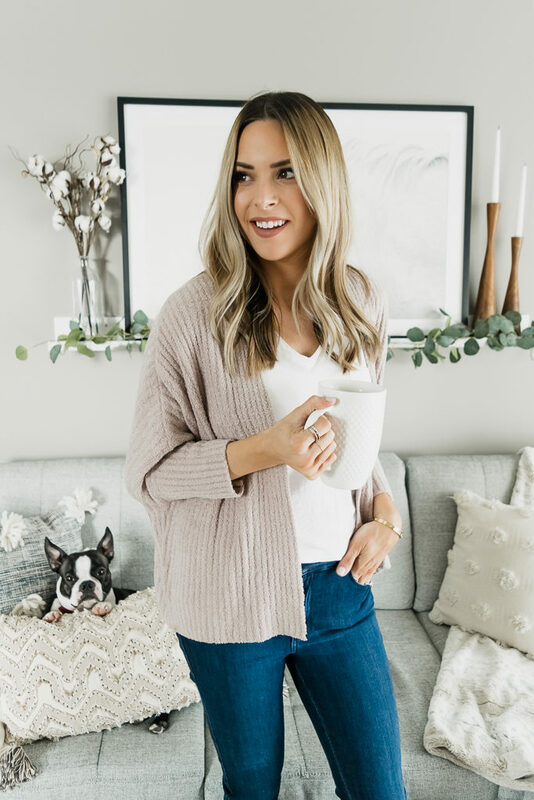 and their CozyChic Cali Cardi ($51 off!) which both run true to size. The Lite Island Wrap is lighter in weight, and the CozyChic Cali Cardi is thicker like a robe, and is perfect for wearing around the house. And while it’s not on sale at the moment, I am totally eyeing up this cute CozyChic Barefoot Buddie for Keldon! As always, thank you for stopping by to read today’s post. Have a wonderful weekend!